Welcome to our site All Tools Market. 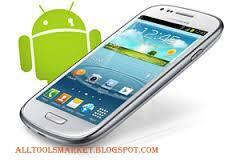 Today, I am going to clear how to flash Android phone’s using PC software or SP Flash Tool. When your Android phone is dead or locked and if you not know how to flash your Android Smartphone using computer/PC without any flashing box or device then read this helpful article and flash your Android phone or tablet using SP Flash Tool easily. SP Flash Tool or Smart Phone Flash Tool is a PC software or flashing software/tool for only Android Smartphone’s, which enable you to flash and custom recovery for your MTK Android Smartphone’s and tablets on your computer operating system/PC or laptop with USB data cable. By using this software you flash all kinds of Android Smartphone’s on your PC like Android Samsung, Nokia, ZTE, LG, Huawei, Sony Ericson, QMobile and all those smart phones which have Android operating system (OS). And your mobile latest stock ROM/Firmware/Flash file. All these things will be used in flashing; you must stock these before flashing. Otherwise, you cannot flash your Android Smartphone. If all these things are available then you will be able to start flashing your mobile. Therefore don’t waste your time. Just read described below lines and follow step-by-step guide, I hope you will easily flash your Android phone after reading these instructions. First of all, you need to download SP Flash Tool, your mobile latest stock ROM/firmware/flash file and your mobile latest connectivity USB driver on your PC/Windows. If all these things are already available in your computer then install SP Flash Tool and your phone USB driver on your PC. When these are installed completely, open Smart Phone Flash Tool on your PC. After opening SP Flash Tool, this screen shoot will appear on your PC screen. Now, click on Scatter-loading and find your mobile firmware on your PC and select it. After selecting your mobile firmware, this screen shoot will appear on your windows screen. Now, before connecting your mobile phone just switch off and remove your battery from mobile and also make sure that before flashing get a backup of your important data like messages, contact, images and all those data which is stored in your phone because after flashing your phone all data will be deleted and you cannot get it again. Now, before connecting your phone with your PC click on Download button here. Now after clicking on the download button and connect your mobile phone via its compatible USB cable. Now you can see your mobile start flashing and wait for few minutes. After some time, your phone is 100% Flashed. Congratulations 😅! Your mobile phone is successfully flash, now you can use your mobile in its original setting and enjoy it. I hope this article is very helpful for you. If you face any problem during flashing your phone then just comment below, after reading your comment I will help you. And don’t forgot to share this article with your friends on social media networks like Facebook, Twitter, Google+ and more other social networks. Thanks you!